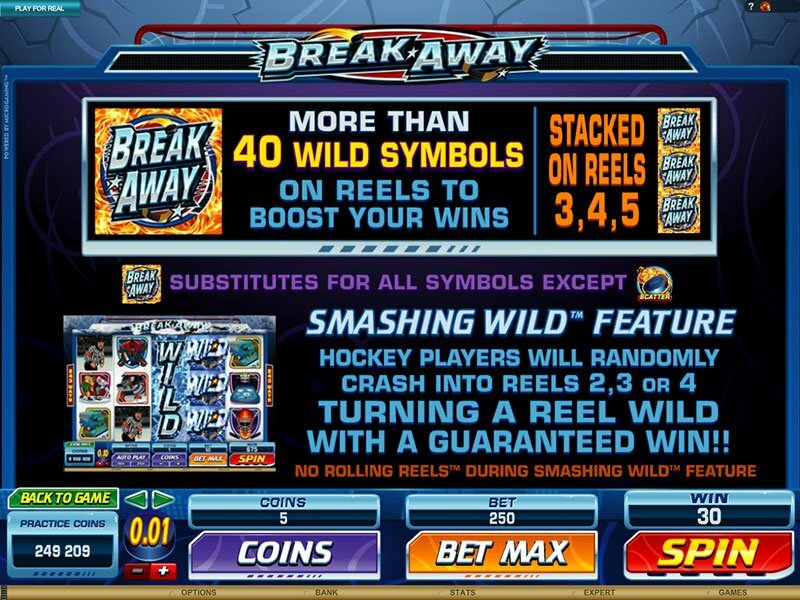 Break Away slot is unique for its audio quality and engaging Hockey theme giving sports fans a new reason to hit up the online casino. 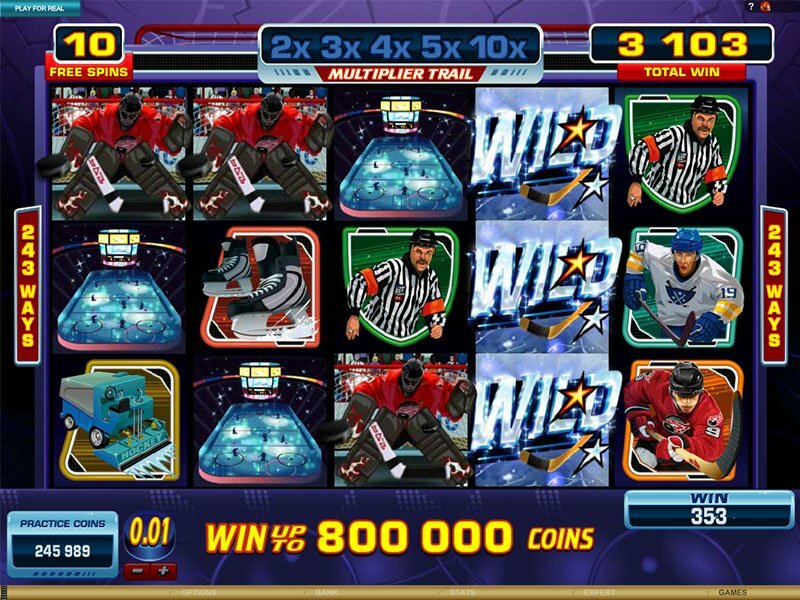 With good quality in graphics and fun symbols great for any Hockey fan, this is a slot machine worth playing. Looking to break away from the monotony of so many online slot machines? 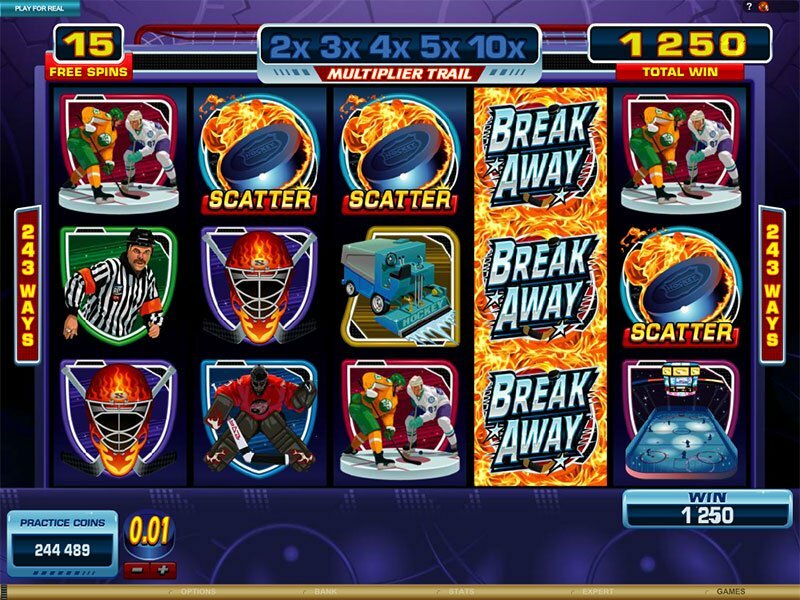 Now you can be a part of the high intensity push and shove of Hockey by playing Microgaming’s slot machine, Break Away. It’s got everything you’d expect to find at a hockey game from great big goalies to the light slaps of the puck when you spin. While the Break Away 3D slot from Sheriff Gaming or Betsoft, graphics are relatively good quality and mixed with the background music anyone would expect to find in a sport stadium, it’s a high energy game that will keep you going and going headed for your goal of riches. The small slap of the puck as you spin and the sound of skate gliding over thin ice make a unique contribution to the game. Audio quality stands out more in this game than in most. The small slap of the puck as you spin and the sound of skate gliding over thin ice make a unique contribution to the game. Most other slots keep audio effect to bare basics, but in Break Away slot machine, they stand out like never before. Microgaming also kept this game interesting for players with the appropriately themed symbols and special features. While the scatter symbols that award free spins are naturally the image of a flaming Hockey puck, an ice cleaner is a bit more common, though still pays out well when combined with the wild symbol which will often appear covering an entire reel. Reels are also collapsible when playing Break Away slot machine. Any symbols that contributed to a win freeze, and then explode in a burst of ice. New symbols drop down to replace those that exploded creating new combinations and giving you the lucky chance to win more than once on any spin.